New Zealand is a magical place, with lots to discover. But a few weeks here is just not enough. New Zealand is remote, and expensive to get to (but worth every cent! ), so you need to make the most of your stay here. If you want to uncover the real nature of New Zealand, you will need to stay longer. While the cost of air travel between countries has lessened considerably over the years, you can still quickly burn through your savings if you are not careful with your money. The good news is, you can afford to stay longer, and explore more, by combining work with your holiday within New Zealand. Plus, you’ll get to meet real locals and fellow travellers, and make friends for life. This way, you’ll earn the money you need to finance a deeper exploration of New Zealand. You’ll discover NZ’s world famous natural wonders, it’s unique culture and people, and have experiences and create memories you cannot get anywhere else on earth. 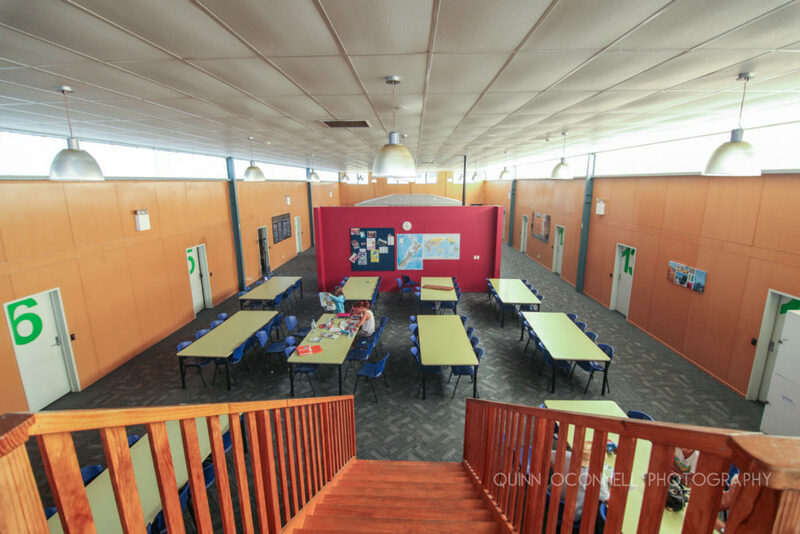 Kiwi Corral is a working hostel in Te Puke, New Zealand, and like other working hostels, we offer you a medium-to-long-term place to stay, nearby to several employers in the horticulture industry that need your help. Employers come to us for help, and we know them all. They need a steady stream of seasonal workers for their horticultural operations here in Te Puke, one of New Zealand’s most fertile areas. The team here at Kiwi Corral are experienced and knowledgeable, and know how to answer all your questions and concerns, and find a solution for you. We regularly provide advice on obtaining visa’s, transportation, opening a bank account and having a tax number. These are all important when it comes to acquiring work in New Zealand. The beauty of staying at a working hostel, is that you will meet many other people who are on a similar journey to you. You will hear and share stories and experiences, and get / give advice about day trips, touring, adventures, experiences and work. 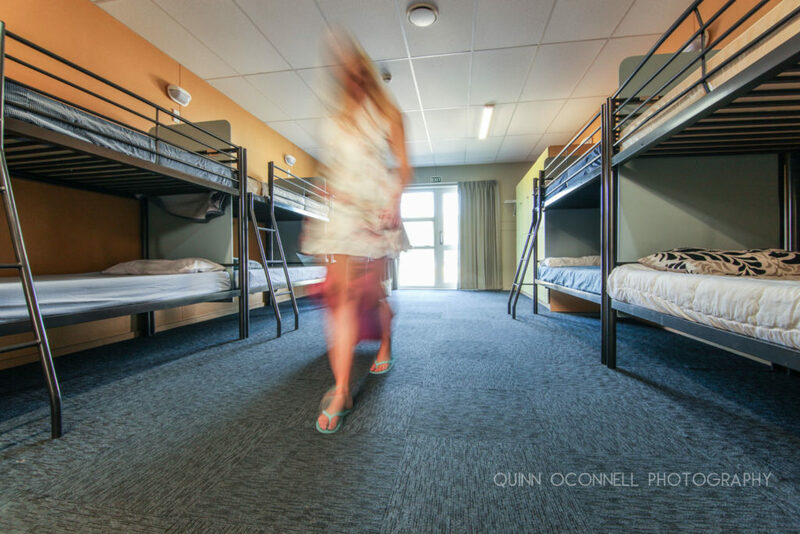 Staying at a working hostel like Kiwi Corral in Te Puke, New Zealand is the perfect place to save money for your next adventure. Choose a working hostel with a great location close to employers who need workers like you. This increases your chances of being employed and decreases the costs of you travelling for work every day. 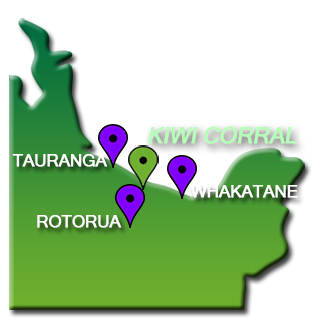 Kiwi Corral is in Te Puke, New Zealand. This area has some of the most fertile soil in the world and is where much of the worlds best kiwifruit and other crops are grown. We have relationships with all the employers nearby and they come to us to ask for workers. We’d love to match you with these jobs. And our location in the North Island of New Zealand offers easy access for day trips to beaches, forests and mountains. Everyone knows that hostels are a cheap place to stay because of everyone’s willingness to share facilities. What we can’t tolerate is mess and unsanitary conditions. You want to ensure that the place you lay your head is fresh, that the cooking facilities are clean and tidy, that the showers and toilets are sanitary. Here at Kiwi Corral, we have strict cleanliness protocols that everyone agrees to. Everyone is asked to clean up after themselves, plus we have cleaners working through the facility every day. The showers need to be hot. The washing machines need to clean your clothes and bed linen. The ovens need to cook your food without burning it or leaving it raw. The fridge/freezers need to keep your meal ingredients cold. There is an expectation that basic amenities work correctly. Here at Kiwi Corral, we are a busy hostel so these facilities get a lot of use, but we ensure they are well maintained so that every appliance you use functions as it should. This way, you can just get on with your day. Your laundry is done, you’ve had a good nights sleep, you eat your meal and head out for your work day or on an adventure. Hostels can offer such great prices because of everyone’s willingness to share facilities. So you can’t expect beds that are top of the line luxurious models with the highest quality Egyptian cotton sheets. However, getting a good nights sleep is very high up on the list of priorities for most travellers. The better your sleep, the better you’ll feel the next day whether you are working for the day, or heading off on an adventure. Here at Kiwi Corral, we can get pretty busy and you’d think that our bunk rooms would be noisy places at night, but they are not. That’s because everyone who stays here agrees to our noise policy which means we all respect each others need for a good nights sleep and we keep our noise levels to a minimum at night.